If you’re thinking of joining in with the fountain pen revolution, choosing your first pen can be quite a daunting task. With so many on the market, how on earth do you decide on which to plump for? We’ve put together a handy guide to help. If you do a fair amount of writing by hand, you may notice your hand is painful afterwards. Fountain pens are better for writing over long periods of time than ballpoints, due to the flow of the ink and the fact your hand is more relaxed in the position it takes. We spend so much time scrawling notes down with the first pen we happen to grab out of the drawer; why not make writing a bit more fun again? This is, essentially, the main consideration as it determines your options. Pens vary massively in price – some cost £10, some £3000 – and this tends to vary depending upon factors such as the materials and the brand. What will you be using your new pen for? Will you be using it every day or occasionally? Will it be used for writing or, perhaps, drawing? What paper will you be using? Ask yourself these questions, and let them guide you in your choice. You are safest sticking to a well-known and reliable brand name with fountain pens, as otherwise you risk purchasing a poorly made writing tool. A brand is a guarantee of a certain level of workmanship. Do a bit of research and decide on a few brands you like to help narrow your choice down. Size matters! Generally the rules for this are simple though. If you have small hands, opt for a shorter, more slender pen; if you have large hands, opt for a longer and/or fatter one. Test a few out and see what feels more comfortable. This may sound like a slightly insignificant point, but it won’t do when you’re writing that sixth page in a row in your journal or a letter and your hand starts to ache! The nib is the most important part of the pen; the heart of it, essentially. It controls the flow of the ink, the thickness of the line, and overall, the outcome of your handwriting! The nib needs to compliment your writing style, and it is important you are happy with it. There are 2 main nib types – straight and slanted. Slanted nibs are ideal for those with slanted, italic handwriting. Pointed nibs are particularly appreciated by those who use their pens for artwork. Nibs come in different materials; namely steel, gold or titanium. 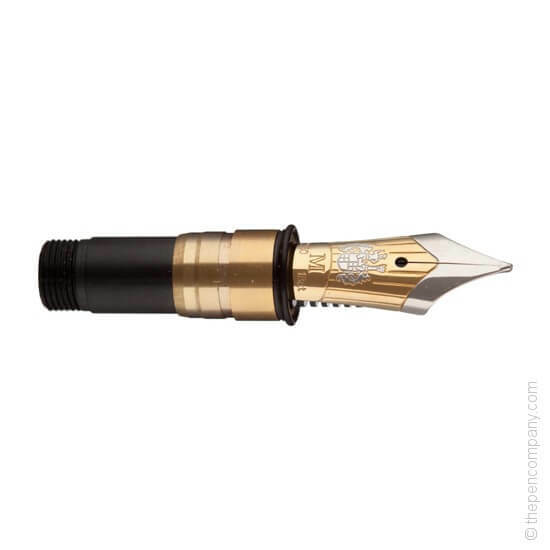 Steels nibs tend to be found on pens at the cheaper end of the pricing spectrum, with gold and titanium being reserved for the pricier, higher quality writing tools. Durability is a key factor in your choice here – as a general rule, a gold or titanium nib will last much longer than a steel one. Most nibs are ‘hard’, meaning they are fairly inflexible and therefore consistent in their flow of ink, however some specialist nibs are softer so as to provide variation in line width. Unless you have a need for this, I’d recommend sticking to a hard nib. Fountain pens need ink. Filling your pen with ink from a bottle can feel wonderfully vintage, and is cheaper, whilst providing a larger variety of ink types and colours. However, it is worth remembering the possibility of spills and leaks as these can and do happen. Using ink cartridges is a much cleaner alternative and more convenient for times when you are using your pen away from your desk, so this is worth consideration when choosing your pen. Most pens can take ink from bottles or cartridges; pens which only take one or the other can be converted, but I’d personally rather purchase one which does not need to rely on a converter method. Check before you buy! Lastly – the aesthetics. 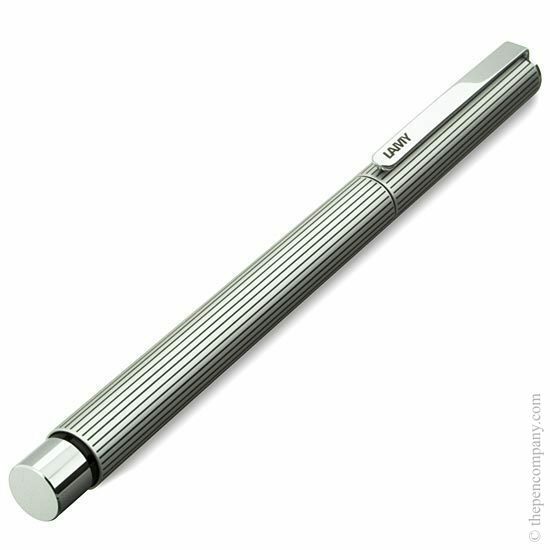 Do not base your purchase entirely on this but do make sure you actually like the design of your pen – you don’t want to be frequently writing with a pen you can’t stand the sight of! Using a fountain pen should be a pleasurable, perhaps luxurious experience, so ensure your choice of pen fulfils that feeling for you.